The origins of Ford Theatre lie in a popular Boston-based group called Joyful Noise, which played the college circuit. The four members of the band were James Altieri (bass), Arthur Webster (guitar), Robert Tamagni (drums) and John Mazzarelli (keyboards, vocals). All of them were childhood friends from Milford, Massachusetts. The group attracted the attention of New Yorker Harry Palmer who first came across the band when attending college in Boston. Palmer was a composer by nature and was looking for that band that could play the musical ideas he had, and on his return to Boston, a few years later, contacted Joyful Noise to do just that. The link between the band and Palmer was their eventual manager Fred Cenedella who used to book bands for dances to pay off his tuition fees and who had met Palmer on a visit in 1965. There exist acetate recordings from 1967 of the quartet Joyful Noise as they made two demo recordings in the hope of acquiring a record deal. The tracks included are Known the World Over, Something Of A Change, Good Thing and Stop. The group were impressed by Palmer's material and slowly he became a fully fledged member of the band. However a few changes were made to the band. First a vocalist, Joe Scott, was drafted in (also from Milford, Massachusetts), and secondly the name of the band had to be changed. The reason for this was that Palmer's music was dark and ominous, a reflection of the times as America was still reeling from the assassination of President Kennedy and was in the midst of the Vietnam war. Thus Joyful Noise became Ford Theatre, the place where President Lincoln was shot. (Actually the name of that place is Ford's Theater, but the group dropped the 's and changed Theater to Theatre.) On the other hand an interview with the band at the time of the release of their first album has them dismissing the link and instead stressing that the name was actually a combination of two factors. 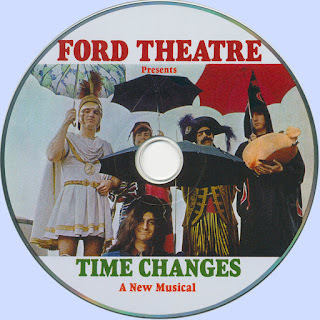 The Ford was used as a sign that the group would one day make money doing auto commercials while on the other hand the Theatre gives the group a dramatic and serious slant. 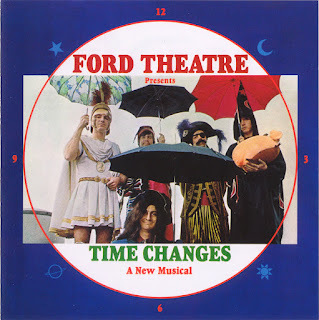 The first concert that the band played under the moniker of Ford Theatre came in the summer of 1967 at the Unicorn Theatre in Boston. Following the release of the first album, the band went on tour of seven cities including Chicago, New York and Philadelphia performing with bands such as Big Brother And The Holding Company, Iron Butterflyand Procol Harum as well as playing local television shows. However poor promotional backing from ABC did not help the band. A classic example was the summer of 1968 when the band played in front of 10,000 people at the Kiel Auditorium, sharing the bill with Big Brother and Iron Butterfly. The album was being played in heavy rotation in its entirety on the local radio (KSHE), thus achieving a large amount of publicity. However there was one snag. The area of St Louis was not supplied with records of the band and thus all the publicity that was achieved was all useless! September of 1969 saw the release of the band's second album, Time Changes (ABC ABCS 681/Stateside SSL 10288; Value BS15:00). Though dubbed a concept album, it is in fact a loose collection of songs, most of which were new songs composed by Harry Palmer. Recordings took place at the original Hit Factory in New York while production was entrusted to Bill Scymczyck. Time Changes was the first piece of production work for Szymczyck, who would go on to achieve fame for his production work with James Gang, Joe Walsh, Edgar Winter and The Eagles. Also there was a change in line-up for the recordings of the album as James Altieri had left the band and was replaced by Johnny Pate. Two singles were released from the album Time Changes/Wake Up In The Morning (ABC 11192) and I've Got The Fever/Jefferson Airplane (ABC 11227). Jim Altieri continued to play with various bands in the Boston area while Bob Tamagni teaches at the Berklee School Of Music in Boston. Harry Palmer went back to New York, producing other bands and artists before moving towards the business side of the musical worlds and becoming an executive for various record companies such as Polygram, Atlantic, BMG and Sony.